Imelda Romaludez was born to a prominent family in the Central Visayas in Leyte Province, Philippine Islands. Imelda was the oldest of five children in Vicente Orestes Romaludez second family(sounds like another story). While still young her mother died and near the same time the Philippines was invaded by Japan in WWII. 1952 Imelda moved to Manila with her cousin Daniel who was the leader of the Nacionalista Party. Within a year she won a national beauty contest and was crowned Miss Manila. Not one to sit on her laurels she leapt from the runway to the limelight when she met Ferdinand Marcos and they wed within 11 days. 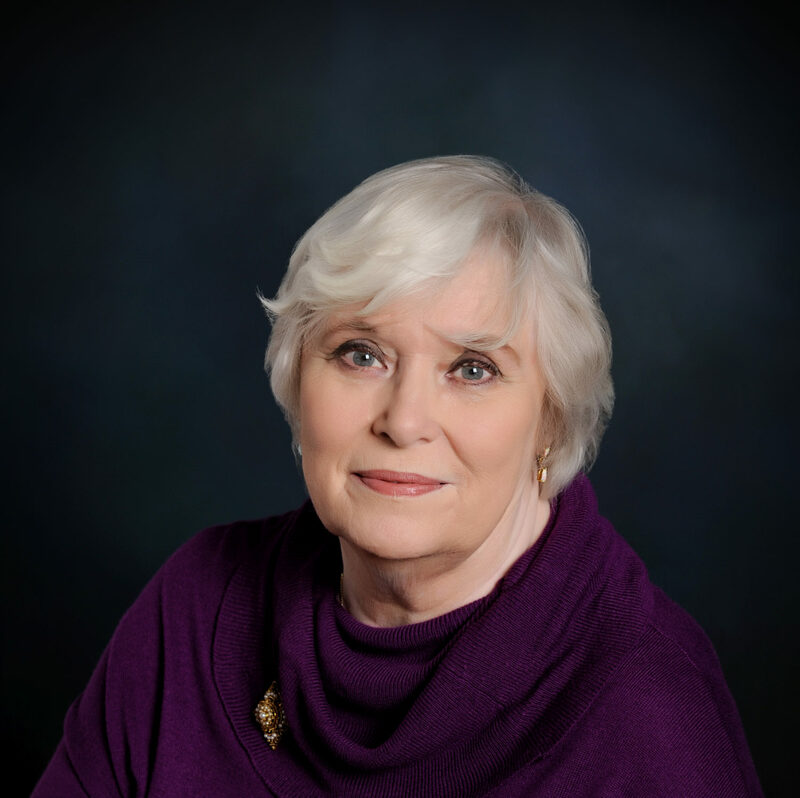 After just a couple years of marriage her health was failing and a psychologist told her to embrace her husband’s political life or die. Imelda decided a second opinion wasn’t necessary and returned to Manila and after having their second child. She took to politics with a vengeance. In 1965 Ferdinand Marco was elected president of the Philippines and she became one of the most recognized first ladies in recent history, often compared to Jacqueline Kennedy and Eva Peron but not Melania. Imelda was often called the Mother of the Philippines and the Steel Butterfly. In 1970 student protests began turning to violence. They were demonstrating about the disparity of wealth and the single party leadership of the country. Things began to escalate and President Marcos declared martial law. At the same time Imelda stated that it was her responsibility to appear beautiful for the people as the masses needed her to make a perfect appearance. Buying top designer labels would label her. In 1975 the poor average $200 a year income, and at the same time Imelda was responsible for building 14 luxury hotels, a multimillion dollar Nutrition Center, Folk Arts Theater, Convention Center, Heart Center, and a Lung Center. In her spare time she began the Green Revolution a nationwide beautification campaign. New homes for the poor, wayward children and the aged were built. During natural disasters such as fires, typhoons, floods, volcanic eruptions and earthquakes (the Philippines is part of the ring of fire) people turned to Mrs. Marcos for relief and assistance. Not only because they believed she was compassionate, but because she would take action. In 1978 she won a seat in the assembly, and it was discovered that due to Ferdinand’s poor health she had been running the government all along. President Marcos long time rival, Benigno Aquino Jr., former Philippine Senator, was assassinated on Sunday, August 21, 1983 at Manila International Airport. Aquino’s assassination is credited with transforming the opposition to the Marcos regime from a small, isolated movement into a national crusade. It is also thrust Aquino’s widow, Corazon Aquino, into a run for president in the election of 1986. Marcos was officially declared the winner of the election, but widespread allegations of fraud and illegal tampering, sparked the People Power Revolution, which resulted in Marcos fleeing the country and conceded the presidency to Aquino. 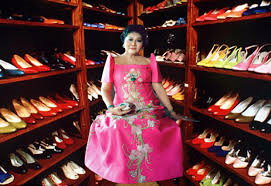 During all of this upheaval, Imelda power shopped. She doesn’t only buy designer outfits but also multi million dollar buildings in New York. After they fled, it was discovered that she had accumulated massive amounts of personal items, jewelry and most famously 3,000 pairs of shoes. She denies the number and states that it was only 1060 (does that include the tenny runners and flip flops? ).The shoes became a symbol of the corruption and luxury that they enjoyed. They resettled in Hawaii, not the usual exile location. Three years later Ferdinand is dead. Imelda was allowed to return to the Philippines to bury Ferdinand and she stayed. In 1992 she ran unsuccessfully for president. After that run she was convicted of corruption and sentenced to 12 years, but the Supreme Court overturns the decision. In 1994 she rises from the ashes and is elected to a seat in congress from her home district. Legally she has been fined $2 billion for a human rights settlement, found guilty of funneling $659 million to a personal account which she has been ordered to repay, and more than 100 other suits (law not Ralph Lauren) still pending. She was been awarded $90 a month pension as the widow of a war veteran, and began shopping at Walmart. It appears that Imelda dreamed of becoming Queen, and came close.